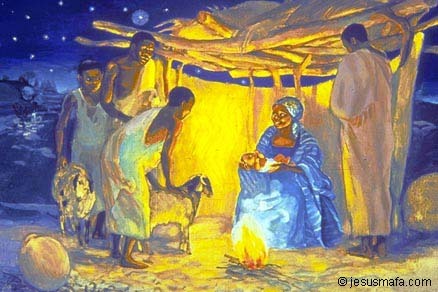 This year as always, the timeless Christmas story speaks to us and enlightens the listening heart at many levels. There is the simplicity of the story and the unfathomable mystery of what it is saying. So, too, the story of our own lives, as we have lived them to this point, can be told in a few words; but no words can express their meaning and the wonder of our joys and sufferings, failures and discoveries. There is the human fragility and marginality of the characters, Mary, Joseph, Jesus, the Shepherds – none of them among the powerful ones of the world. And yet through and around them is the presence of God speaking His Word in a silence that brings down the mighty from their thrones and humbles our own chattering egos. In the story there is both a tenderness and a mighty, toughness and resilience. We feel deep emotion and yet contemplate a reality that takes us beyond sentiment and emotion, to a place of truth and love in which all desire is fulfilled and all that is incomplete is led to completion. As we meditate during these coming days may the silence we share enrich our community and help us – in our small meditation groups and national communities and in Meditatio our new outreach – to share the healing and enlivening presence of the Word made flesh with all we meet on whatever way we are called to follow.